Funny how politicians start looking for Jesus when the Devil is attacking them personally. Sen. Feinstein, Head of the Senate Intelligence Committee (SIC) didn’t need Jesus when she supinely supported the CIA and NSA’s illegal spying on American tax paying citizens, you and me. When John Brennan, already notorious for his role in the Bush torture program was nominated by that great civil libertarian, Barack Obama to head the CIA, Feinstein could hardly wait to rush the SIC endorsement of him for that office. But when recently that same John Brennan as CIA head asked the Justice Dept. to launch a “criminal investigation” of members of her committee, it then became a personal matter for Feinstein’s career and she had suddenly to start looking for Jesus as well as her dusty copy of the US Constitution. Feinstein was so used to covering for the intelligence services that when the pressure had built to force her committee to investigate the CIA’s torture program she eagerly accepted their demand that her committee review the documents in the CIA’s rooms. She also never raised a peep when evidence began to appear that they were surveilling her staff’s work. As usual, President Obama is distancing himself from this hunt for Jesus because, as Glenn Greenwald’s First Look explained, he might have some ‘skin in the game’ that he doesn’t want to be exposed. So we have Senator Feinstein desperately trying to do something she has spent five years not doing and the President desperately doing what he has spent five years doing, trying to avoid any fallout from an event he was probably deeply involved in. Brennan believes he is Jesus and has shown that he is ready to defy all worldly restrictions like the US Constitution in his self-anointed role. Based on past behavior of these players, who do you think will win out? I will only bet on the loser, and that would be the American people and our Constitution. How long are we ready to let this Kabuki Theater continue? 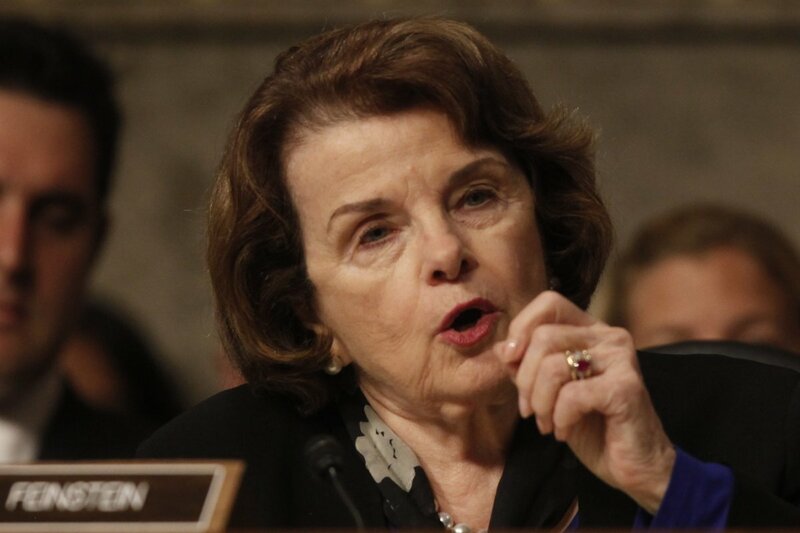 Senator Feinstein — if she actually gives a damn about the principle of constitutional checks and balances, not to mention statutory law — can do what Senator Mike Gravel did: namely, read her committee’s “classified” report into the official Senate record and thus make this information available to the press and people. She doesn’t have to ask permission of the CIA, the FBI, the DOJ, or the President of the United States. “Nor all the king’s horses nor all the king’s men” can do a damn thing about it. But then, again, one can hardly compare Senator Feinstein to Senator Gravel when it comes to defending the people’s right to know what their corrupt and clueless excuse for a government regularly does to besmirch the name and reputation of the nation.